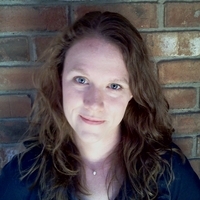 P&PC is thrilled to introduce our new South Dakota correspondent Sarah Ehlers (pictured here), an Assistant Professor of English at the University of South Dakota who teaches and writes about modern poetry and poetics. Her essays have appeared or are forthcoming in Modern Language Quarterly, Paideuma, and Contemporary Literature, and she is completing a book titled Left of Poetry: Depression America and the Formation of Modern Poetics. In the following posting about the poetics of radical children's verse, Ehlers hints at what Left of Poetry has in store and how the development of modern poetics—at least in some spheres of American life—had more to do with nineteenth century verse cultures than folks generally assume. If you want to know how communist poetry, Little Miss Muffet, Henry Wadsworth Longfellow, Mother Goose, and even the poetry of Robert Southey could come together to make poetry "modern," dear reader, then read on. Now relatively unknown, Martha Millet was heartily involved in Left literary institutions from the 1930s through the 1950s. A card-carrying communist, she worked as a labor journalist and published politically themed verse in The New Masses, Daily Worker, and Masses and Mainstream, as well as in the 1944 volume Seven Poets in Search of an Answer, which also featured poems by Langston Hughes. In the early 1940s, she wrote political tracts and pamphlets for the New York City Central Committee of the International Workers Order. In the 1950s, she published two volumes of original poetry (Thine Alabaster Cities: A Poem for Our Times  and Dangerous Jack: A Fantasy in Verse ) and edited The Rosenbergs: Poems of the United States (1957). And some of her verses were published in Poetry magazine. Despite this poetic output, Millet remains relatively unknown, even among scholars of the Depression-era Left, and it's worth wondering what narrative of U.S. Left poetry—and of U.S. poetry in general—might surface if we were to take as starting points Millet's engagements with children's verse and her belief in the "popularity" of Popular Front poetry. At age fourteen, Millet published one of her first poems, "Pioneer Pied Piper," in New Pioneer, the official magazine of the communist children's organization, the Young Pioneers. The poem—which occupied a full two-page spread in the magazine's May 1933 issue—tells how a band of gluttonous Boy Scouts took over the peaceful community of Children's Town. The Scouts forced the town's children to labor in mills and on farms with barely enough food to fill their stomachs, and the newly inducted Boy Scout mayor and his council grew fat on oysters and butter. So things went until the arrival of the "Pioneer Pied Piper"—a young man clad in a blue uniform with a red hammer and sickle sewn on the shirt pocket and a bugle hanging by his side. Immediately, the Piper announced to the Mayor of Children's Town that he had come, "To set these wretched children free." In reversing the "Pied Piper of Hamelin" legend, Millet's "Pioneer Pied Piper" uses his bugle music to organize, and ultimately liberate, the youthful working-class masses. His bugle blast sets the children on a march that forces the ruling-class Scouts out of town and to their deaths. (As the Scouts flee, the bridge they are crossing collapses, and they all drown in a river.) Finally free, the citizens of Children's Town stay to rebuild their community as a "Pioneer Commune," home to a "happy race" of "folks" bursting with "carefreeness and mirth." 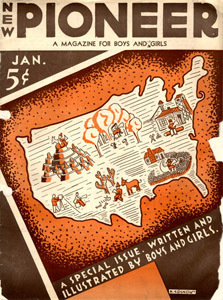 In Learning from the Left: Children's Literature, the Cold War, and Radical Politics in the United States, Julia Mickenberg describes how the "variety of stories, articles, pictures, jokes, puzzles, book and film reviews, and letters to the editor" published in the New Pioneer worked "toward serving the goals of the Communist children's movement" (67). 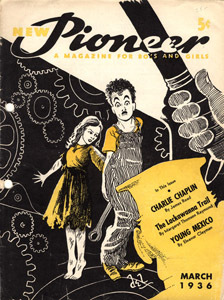 Through story, rhyme, and illustrations by Marya Morrow, the published version of "Pioneer Pied Piper" in May of 1933 exemplifies what Mickenberg describes as the New Pioneer editors' careful efforts "to combine child appeal with political content" (67). But while the poem survives as a significant artifact from the communist children's movement, I think it also begs to be read as something more. When considered in the context of Old Left discourses about poetics—especially those surfacing in The New Masses readers' letters and editorials—Millet's children's rhyme might be taken seriously as (at least one version of) an ideal radical Depression-era poem. If one scans the numerous editorials, commentaries, letters, debates, etc. 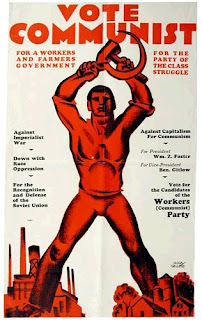 published in Left literary magazines during the interwar period, one sees that many readers demanded a certain type of poem—a poem that was accessible to a wide audience; simple, direct, and easy to memorize; and immediately usable for political activities like union meetings, picket lines, and May Day parades. 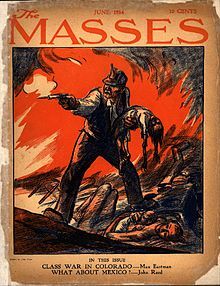 Over and over, readers of publications like The New Masses denigrated the poetry being produced in "wastelands" (a jab at T.S. Eliot, perhaps?) and "tired intellectual towers," and they pitted a "difficult," "cerebral," or "despairing" modernist aesthetic against a more "straightforward," "populist," or "optimistic" one. In a letter to the editor, one subscriber to The New Masses, R.W. Lalley, wrote that he liked "simple, direct little verses" and disliked "the amorphous type" by writers such as Muriel Rukeyser. 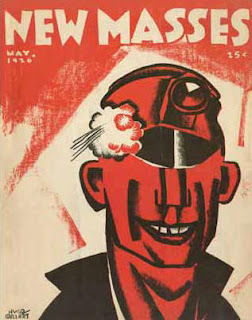 Millet herself penned a letter to The New Masses in 1938 ("Is Poetry Dead?"). In it, she urged that, for Popular Front poetry to stay "popular," it would have to "mean more to more Americans" and, therefore, it "should, even when representative of the Left, not be confusedly ornate, pretentiously intellectual, and 'cerebrally dull.'" Of course, these opinions re-inscribe simplistic divides between the difficult and accessible, obtuse and direct, despairing and hopeful, modernist and not. Scholars of the U.S. literary and cultural Left like Alan Wald, Cary Nelson, Paula Rabinowitz, James Smethurst, and Al Filreis have variously parsed Left writers' complicated relationships to experimental literary modernism. 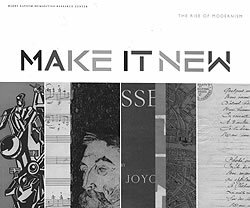 And the archive of radical poems composed and produced for children returns us to historical debates about the relationship of radical poetry to modernist experimentation that raged on the Left during the 1930s, allowing us to see them from a fresh perspective that enables a new narrative of U.S. poetry to surface. This new narrative stresses the continuities—not breaks—between nineteenth- and twentieth-century verse cultures, and it resists a tendency to view the tensions between popular and modernist poetry through a focalization on the latter. In drawing on such popular forms, New Pioneer contributors also re-purposed popular nineteenth-century texts, versifiers, verse genres, and verse presentation contexts in order to construct a poetry that could reach a wide audience and have an immediate impact. Millet's "Pioneer Pied Piper," for instance, doesn't just adapt a familiar text but is also formatted in a way that recalls the print conventions of the ballad broadside as well as nineteenth-century newspaper verse. My own health is totally lost." And I just got kicked out today. In the end, Hayes reverses the moral of Southey's poem. In the nineteenth-century original, Father William shows the youth that, if one takes care of oneself and thinks always of the future, then one can be comfortable in old age. Hayes's Father William never had such luxuries, however, and has been prematurely aged by factory work. The ultimate lesson is that, unless there is a fundamental socioeconomic change, these conditions are bound to continue and the youth is doomed to suffer the old man's fate. In addition to engaging Southey, Hayes also imparts this lesson by referencing Carroll's more familiar version of Old Father William. The last line of Hayes's "Father William" ("And I just got kicked out today") is a play on the last line of Carroll's "Father William" ("Be off, or I’ll kick you downstairs!"). The New Pioneer's recirculation of nineteenth-century verse culture did not go un-theorized. Mickenberg explains that, in general, "the New Pioneer's stories and articles tended to be more factual than fanciful, with a heavy emphasis on historical and scientific themes" (68). Every issue featured historical fiction, biographical essays on revolutionary figures, and series like "American History Told in Pictures," which retold major events in U.S. history from a Left perspective. The history of U.S. poetry was also recast from the standpoint of Left politics and aesthetics, as the magazine's editors and contributors ransacked the nineteenth century for a "usable past" for poetry, one that would illuminate a long tradition of "popular" poems written for the "common people." 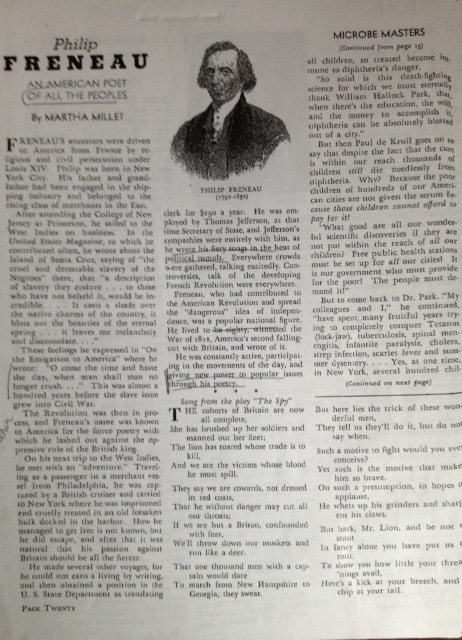 For instance, a short piece on revolutionary poet Philip Freneau by Millet, aptly subtitled "An American Poet of All the Peoples," suggests that Freneau's poetry reached a large number of citizens because it addressed important political issues of the time. According to the article, Freneau wrote about slavery and oppression "almost a hundred years before the slave issue grew into Civil War" and penned "fierce poetry with which he lashed out against the oppressive rule of the British king"; he became a national figure by writing "fiery songs" that gave "new power to popular issues." Millet's little sketch of Freneau says a lot about how the 1930s communist Left's prescriptions for poetry were read back into earlier American poetic cultures. 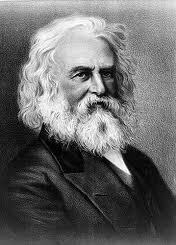 Left interpretations of nineteenth-century verse culture assume that poems written in the voice of the "common people" were, to borrow from Virginia Jackson, "made to be read … as if reading were self-evident," as if their artifices "were really a transparent language" ("Longfellow’s Tradition," 472). Such readings serve as productive misreadings, lending fact to the fiction that the most effective revolutionary poetry need not be read at all, for a poem's rhyme and melody would directly transmit its meanings to its readers and their lives. Children's poems—deliberately constructed, but in forms so familiar they seem natural—illuminate the slippage between the Left ideal of the ultimately accessible poem and the historical reading practices on which this ideal relies. This slippage is perhaps nowhere more apparent than in the biographical sketch of Henry Wadsworth Longfellow that Millet penned for the October 1938 New Pioneer. Millet casts Longfellow (pictured here) as, above all, a social poet enraptured by "the love of literature and writing" and the uses to which such writing could be put. Over the course of the essay, she highlights his interest in the "impoverishment and oppression" of the people of Spain, his "deeper awareness" of Native American culture, and his condemnation of the "criminal institution" of slavery. Millet's narrative of Longfellow's political activism is overly forgiving, if not downright wrong. But it's also canny. In mentioning Spain, the colonization of the American West, and the antislavery movement, Millet refers to the U.S. Left's solidarity with the international anti-fascist front in Spain as well as the anti-imperialist and anti-racist discourses characterizing Popular Front politics. In so doing, she also extracts Longfellow from the conservative schoolroom, where, as Angela Sorby explains in Schoolroom Poets: Childhood, Performance, and the Place of American Poetry, his poems served a "fantasy of universal humanity" rooted in nationalist discourses (11). Millet repurposes Longfellow for the New Pioneer schoolroom, where the ideal of a united "common people" is meant to enact an international and potentially revolutionary political community. wrote simply and understandably. He will be remembered as the ever-musical poet of simplicity who could make people see the traditions and folklore of the much-abused Indian through his poetry, and who dealt with life and people in a manner that all could enjoy. O children; my poor children! From the Master of Life, who made you. Capitalizing on the poem's apparent popularity while foregoing its nationalist and imperialist discourses, Millet's short article makes "Song of Hiawatha" read like a Popular Front political vision of "strength in union." Her appropriation of this widely-circulating nineteenth-century poem stands as yet another example of Longfellow's continued popularity, but it also provides insight into the significance of children's poetry for understanding Old Left poetic culture. 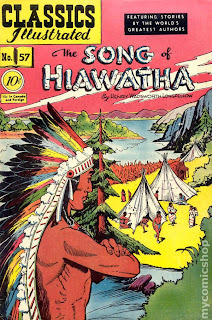 Millet's own children's poems, as well as her re-readings of popular poems like "Song of Hiawatha," illustrate the complex ways in which poets associated with the Communist and Popular Front Left attempted to make poetry "popular" and "accessible" in forums like New Pioneer as well as in more well-known publications like The New Masses. Read in this context, the radical children's poetry in New Pioneer also archives significant dimensions of Left poetic output during the 1930s. Whether these poems remain obscure (like Millet's own unread verse), and howsoever they represent political appropriations of popular texts, they index the history of a poetic Left involved in the radical re-appropriation of popular poems, generic conventions, and traditional forms. Left poets and readers of Left poetry did more than simply draw on the poetry of the past—they actively re-imagined the history of poetic forms and the discourses about the social uses that those forms might have.